The Insider Monkey team has completed processing the quarterly 13F filings for the December quarter submitted by the hedge funds and other money managers included in our extensive database. Most hedge fund investors endured a torrid quarter, which certainly propelled them to adjust their equity holdings so as to maintain the desired risk profile. As a result, the relevancy of these public filings and their content is indisputable, as they may reveal numerous high-potential stocks. The following article will discuss the smart money sentiment towards BeiGene, Ltd. (NASDAQ:BGNE). BeiGene, Ltd. (NASDAQ:BGNE) has experienced a decrease in enthusiasm from smart money in recent months. Our calculations also showed that BGNE isn’t among the 30 most popular stocks among hedge funds. We’re going to take a peek at the key hedge fund action surrounding BeiGene, Ltd. (NASDAQ:BGNE). 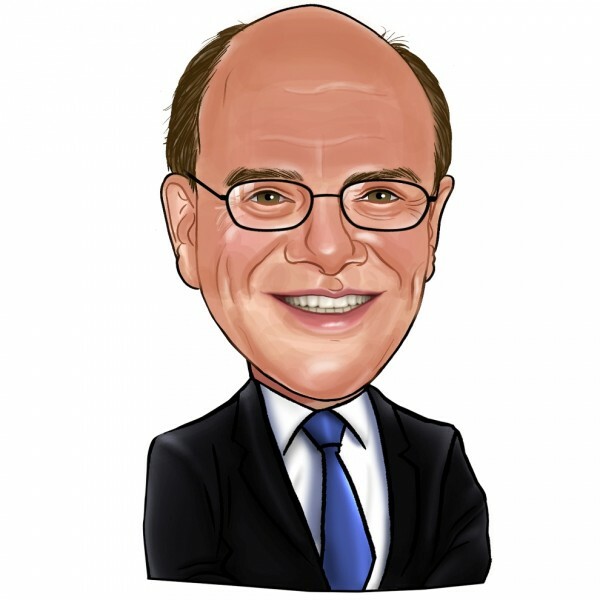 What does the smart money think about BeiGene, Ltd. (NASDAQ:BGNE)? At Q4’s end, a total of 15 of the hedge funds tracked by Insider Monkey were long this stock, a change of -35% from the previous quarter. 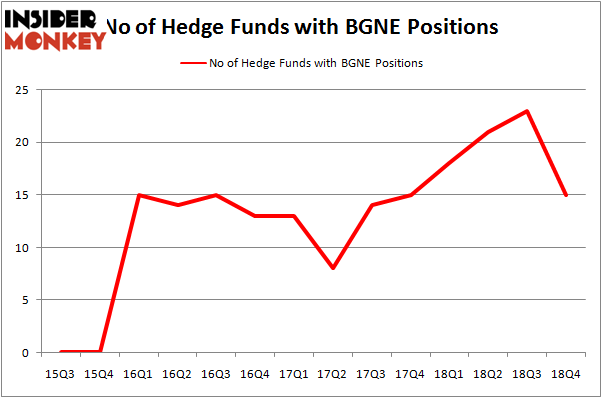 Below, you can check out the change in hedge fund sentiment towards BGNE over the last 14 quarters. With hedgies’ sentiment swirling, there exists an “upper tier” of notable hedge fund managers who were adding to their holdings meaningfully (or already accumulated large positions). More specifically, Baker Bros. Advisors was the largest shareholder of BeiGene, Ltd. (NASDAQ:BGNE), with a stake worth $1677.5 million reported as of the end of September. Trailing Baker Bros. Advisors was Hillhouse Capital Management, which amassed a stake valued at $145.1 million. OrbiMed Advisors, Rock Springs Capital Management, and Polar Capital were also very fond of the stock, giving the stock large weights in their portfolios. Because BeiGene, Ltd. (NASDAQ:BGNE) has witnessed a decline in interest from the aggregate hedge fund industry, we can see that there exists a select few hedgies who sold off their full holdings heading into Q3. Interestingly, Jim Simons’s Renaissance Technologies said goodbye to the largest investment of all the hedgies monitored by Insider Monkey, totaling about $24.5 million in stock, and David Halpert’s Prince Street Capital Management was right behind this move, as the fund said goodbye to about $10.8 million worth. These transactions are interesting, as aggregate hedge fund interest fell by 8 funds heading into Q3. Let’s check out hedge fund activity in other stocks – not necessarily in the same industry as BeiGene, Ltd. (NASDAQ:BGNE) but similarly valued. These stocks are Ralph Lauren Corporation (NYSE:RL), Jacobs Engineering Group Inc (NYSE:JEC), United Rentals, Inc. (NYSE:URI), and Torchmark Corporation (NYSE:TMK). All of these stocks’ market caps are closest to BGNE’s market cap. As you can see these stocks had an average of 32.75 hedge funds with bullish positions and the average amount invested in these stocks was $748 million. That figure was $1967 million in BGNE’s case. United Rentals, Inc. (NYSE:URI) is the most popular stock in this table. On the other hand Torchmark Corporation (NYSE:TMK) is the least popular one with only 19 bullish hedge fund positions. Compared to these stocks BeiGene, Ltd. (NASDAQ:BGNE) is even less popular than TMK. Considering that hedge funds aren’t fond of this stock in relation to other companies analyzed in this article, it may be a good idea to analyze it in detail and understand why the smart money isn’t behind this stock. This isn’t necessarily bad news. Although it is possible that hedge funds may think the stock is overpriced and view the stock as a short candidate, they may not be very familiar with the bullish thesis. Our calculations showed that top 15 most popular stocks among hedge funds returned 19.7% through March 15th and outperformed the S&P 500 ETF (SPY) by 6.6 percentage points. Unfortunately BGNE wasn’t in this group. Hedge funds that bet on BGNE were disappointed as the stock lost 3% and underperformed the market. If you are interested in investing in large cap stocks, you should check out the top 15 hedge fund stocks as 13 of these outperformed the market.